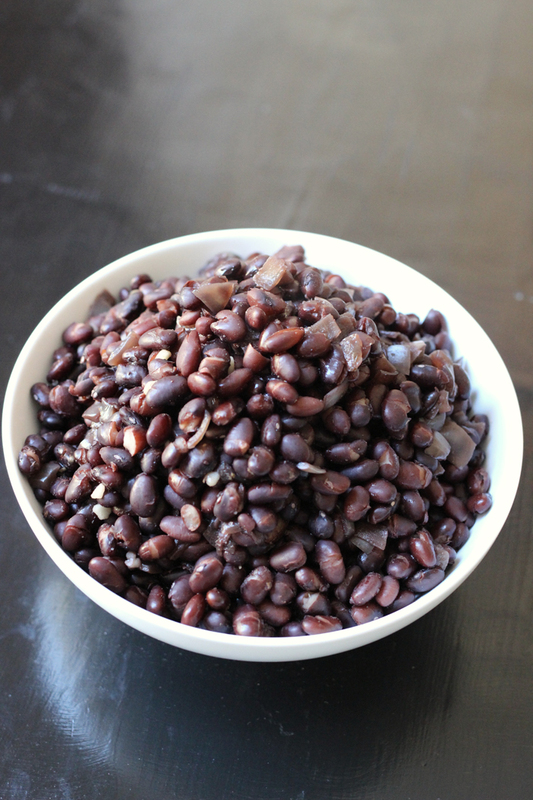 Beans are a frugal food, full of fiber and a good option for protein. Dry beans are cheaper than canned, but can be intimidating and time-consuming to prepare. These Easy Instant Pot Black Beans will transform your bean game. 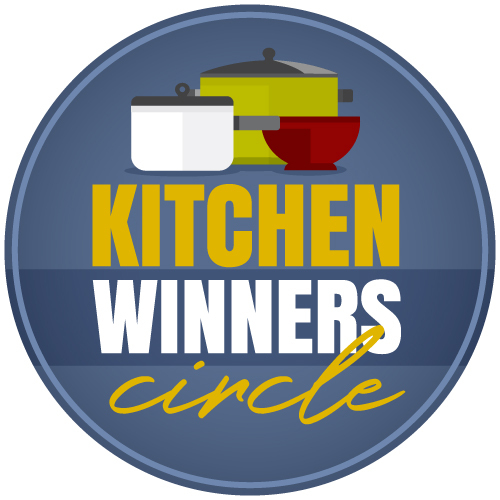 Pressure cookers and I have a long history. My mother and her mother before her embraced their pressure cookers for one dish – Sauerkraut and Spare Ribs. It’s a recipe near and dear to my family’s heart. It runs deep in our Pellowski roots. My mom bought me a pressure cooker early in my marriage so that I could join her in the long line of sauerkraut pressure-cooking women. But once she told me that my aunt had hers explode, shooting pickled cabbage all over the ceiling of her kitchen, I stepped away from the still-in-the-box gadget and learned how to make my sauerkraut in the slow cooker. That stovetop pressure cooker went the way of a garage sale long, long ago. But then, about five years ago — long before the “instapot” was hip, I received an electric pressure cooker as a Christmas gift. It sat under my desk, still in the box, until my sister (who’d also received one for Christmas) pointed out that it made good rice and you could use it as a slow cooker. So, I swapped my mostly uni-tasking rice cooker for the pressure cooker. And I used it to cook rice. And then hard cooked eggs. And then beans. Just as I was starting to get into the pressure cooking groove, one of my children, unbeknownst to me, stored the rack UNDER the pot insert. I couldn’t figure out why it wasn’t working. Until the entire unit fried itself. Womp. womp. No pressure cooker. No rice cooker. After a few months trying to live without the pressure cooker, I up and bought myself a deluxe Instant Pot. Or Instapot, as I thought it was originally called. Why didn’t they call it that anyway? Thanks to encouragement from my friend Michele, I’ve started playing with the electric pressure cooker and trying to maximize this little gadget. I’ve experimented with it for potlucks, taking Broccoli-Cheese Soup to my Bible study a few weeks ago. That recipe is coming soon. And I’ve updated the Sauerkraut recipe to include pressure cooker directions. I am a Pellowski woman, you know. So far we love it for cooking eggs, beans, and rice, three staples of a budget diet. However, I’m here to say that these Easy Instant Pot Black Beans are a game changer! If you ever read my Grocery Geek posts, you know that I buy a lot of canned beans. A lot. I know that it’s easy to cook beans in the slow cooker. I know that it’s cheaper to cook dry beans than buy canned. However, inevitably, I forget to thaw and the process just seems to take FOREVER. It doesn’t really, but it’s just not something I really want to do. Buying a flat of canned beans from ALDI is so much easier. Seriously folks. I never open a can these days. Since I got my instant pot black beans groove going, there is no need. NO. NEED. Sure, it takes a little longer than opening a can, but the beans are tastier, cheaper, and cook in about an hour, from start to finish. I want you to try this and see if you don’t agree. Aren’t they beauts?! And nope, no soaking required! They cook fast enough so you don’t need to bother with soaking the beans. Stock up on ingredients when they are on sale. Stock up when you see beans, onions, and spices on sale. Having a pantry built on budget ingredients makes for budget meals. Price match. Check your grocery store fliers to see who has the best price on the items on your list. Something new here on Good Cheap Eats that I’m slowly rolling out is the option to rate the recipes you try. 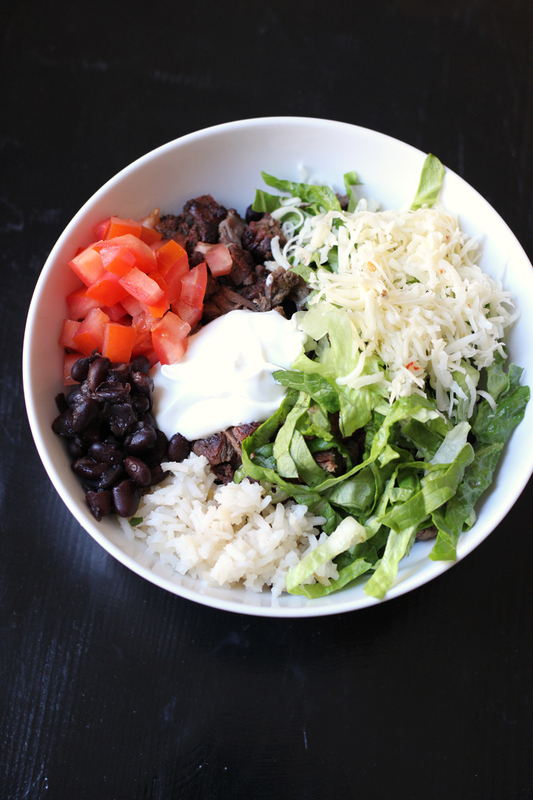 After you’ve made these Easy Instant Pot Black Beans, I’d love for you to come back and tell me how you liked it. Be sure to give it a starred rating in the comments. Thank so much! These instant pot black beans are a game changer when it comes to serving beans. No soaking required, you can prepare tastier and cheaper black beans in less than an hour. 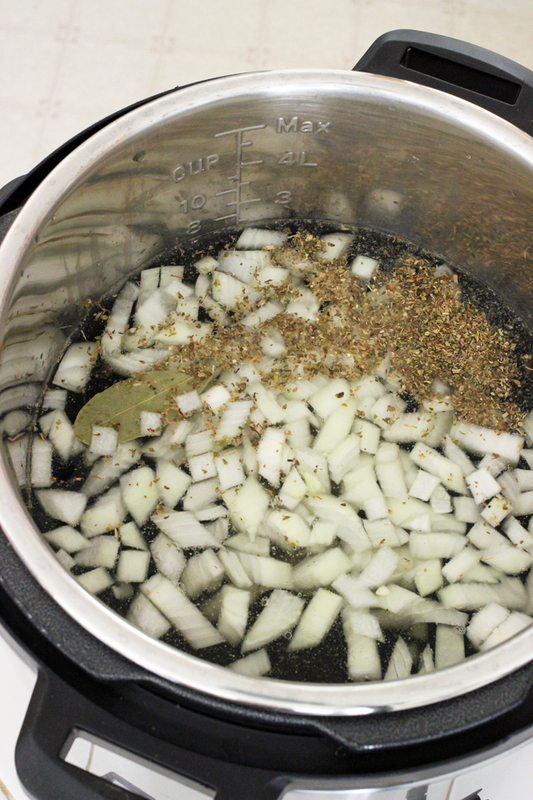 Place the beans, water, onion, garlic powder, cumin, oregano, and bay leaf into the pot of an electric pressure cooker. Secure the lid and set the pressure valve. Set the machine to manual for 20 minutes. When the time is done, press cancel and let the pressure release naturally. Drain the beans from the cooking liquid. Season to taste with salt and pepper. To freeze: Allow the cooked beans to cool. Divide into meal-size containers with lids. Chill completely in the refrigerator before storing in the freezer. 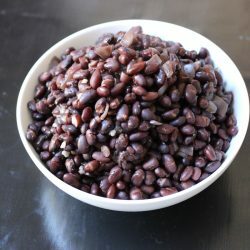 I cook my dried beans in a stove top pressure cooker, but I agree it is a great way to fix them. I love the seasonings you used, they are different than my instructions. Do you think they would work equally well with other types of beans? I don’t use black beans usually, but cook a lot of great northern, pinto and others including some of the heritage varieties such as Jacob’s cattle beans. Yes, depending on what you use them for. I wouldn’t like omit the cumin if I wasn’t going to use them in Mexican-style recipes. I’m kind of obsessed with my InstantPot. 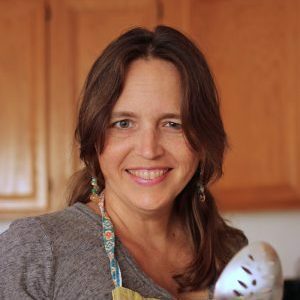 I just taught an InstantPot class last night through our local continuing ed program (eeekkk! My first time teaching a cooking class!). One of the recipes I made was for a vegan 3 bean chili from dry beans — everyone loved it! Beans in the InstantPot are a game changer for sure! Chickpeas,another member of the legumes family are also very easy on IP. And ,if you feel like, use the cooking water when making bread-it gives a different taste and texture. Glad you got another one! Did you ever post the broccoli cheese soup recipe? I’d love to have it. The next time I go grocery shopping I’ll buy black beans and try this. I ‘ve been adding them to taco meat and chili. Mine came with a rack. Yours didn’t? No rack–said it was optional. Do you know if I need a certain kind or will anything do that fits? I think you’ll be fine with whatever fits! Is it necessary to drain the liquid from the beans? 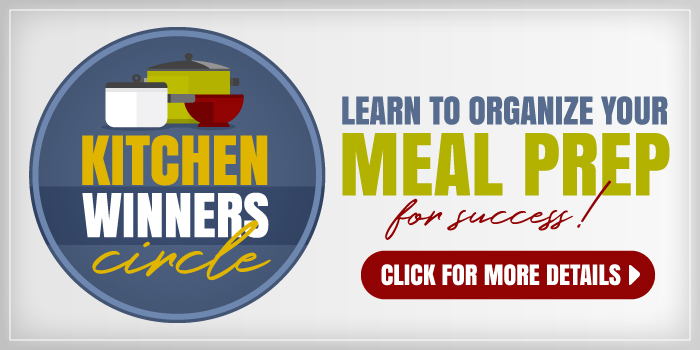 I have only made dry beans using a slow cooker, and I use some of the flavorful cooking liquid to add to the beans in the food processor to make our version of refried beans. I was given an instant pot, but I haven’t used it yet so I’m just wondering if that liquid is safe to use since the beans haven’t been soaked overnight . Thank you! You can use it if you like. Some would say it might be gassy since the beans didn’t soak first. Your mileage may vary on that point. I appreciate your response, Jessica. If I soaked the beans overnight, and then put them in the instant pot, would you still set them to cook for 20 minutes? Thank you! The cookbook that came with my pot says 7 to 8 minutes. I haven’t had much luck with black beans before but thought I’d try again. I made them today and everyone loved them. Thank you. it was really a game changer. My kids doesn’t like beans but after eating that they loved it?? That’s awesome. I’m so glad to hear it! 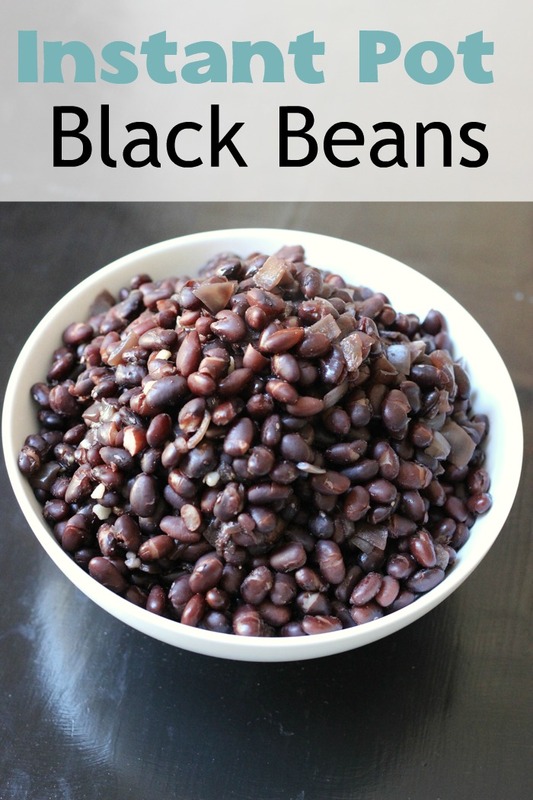 This has become my go to recipe for black beans ~ they come out great every time! Thanks so much! Great. So glad to hear it, Jen! I have to agree that beans in the IP are totally a game changer at our house, too! No soaking??? Hallelujah and pass the beans and rice! Thanks for sharing recipes for the IP. I held off on purchasing one for a while, waiting to see if they would become the gadget of the year that needed up in everyone’s next year garage sale, but when everyone RAVED about them, I decided to take the plunge and I am not sorry one little bit. I make black beans in mine probably at least once a month, and then put beans into everything. Thanks for this recipe!